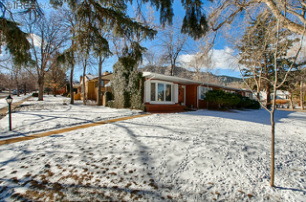 Great ranch home in the Chautauqua area and just blocks from the University of Colorado and everything Boulder has to offer. Just up the hill from ''The Hill". Great location, great house, great lifestyle. Beautiful Updated Mid-Century Ranch home in the heart of Boulder. Three bedrooms, 2-1/2 Bath with 1600 square feet so that you will never run out of space!!! The front yard and the master bedroom both have breathtaking views of the Flatirons. Not only that, but you are only one block to Chautauqua park and its many miles of hiking & trails! Solid well maintained home with just the right amenities and location. Close to CU, Pearl St., and Chautauqua with easy access to public transportation. Top rated public schools (Flatirons Elementary, Manhattan Middle School, and Boulder High School). Great walking and biking neighborhood.